What happens there stays there…. Did you miss me? Sorry for the lack of posting….we’ve been on a mini vacation! 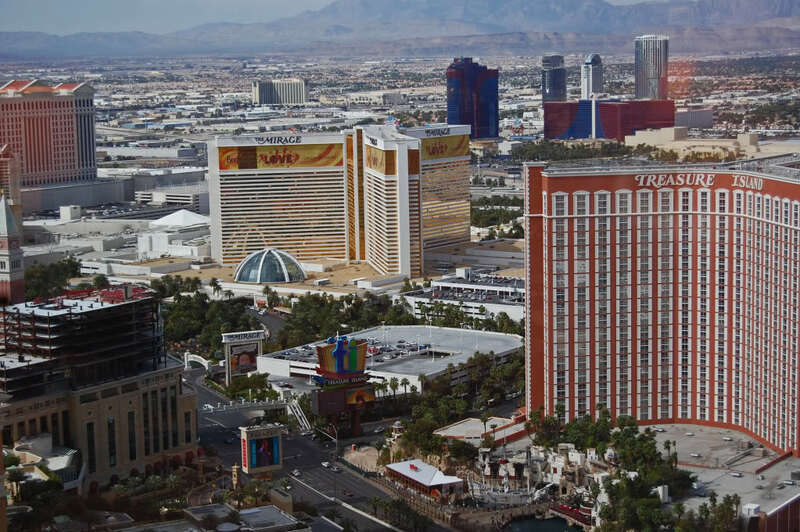 The husband and I set off for Las Vegas on Thursday and just got back Monday. We went with two of our favorite couples: Mo and Ali, and Erin and Mike. Needless to say, we had a blast! It was the perfect mix of sleeping in, eating great food, yummy cocktails by the pool, fun shows, and nights out. I didn’t take nearly enough pictures. But Erin has some cute ones on her blog right now. When she sends me some I’ll post them. Her pictures are leaps and bounds better than mine! 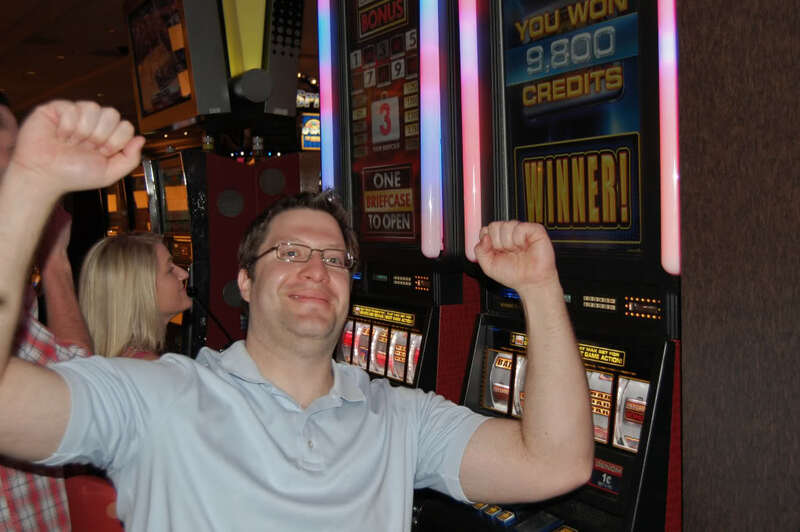 The husband won $150 on a Deal or No Deal slot machine. It was so fun to watch the amount keep going up and up. We cashed out pretty quickly since we’re not really big gamblers. Me with the Shake Your Booty machine. I did NOT play it. But the husband thought it was funny. 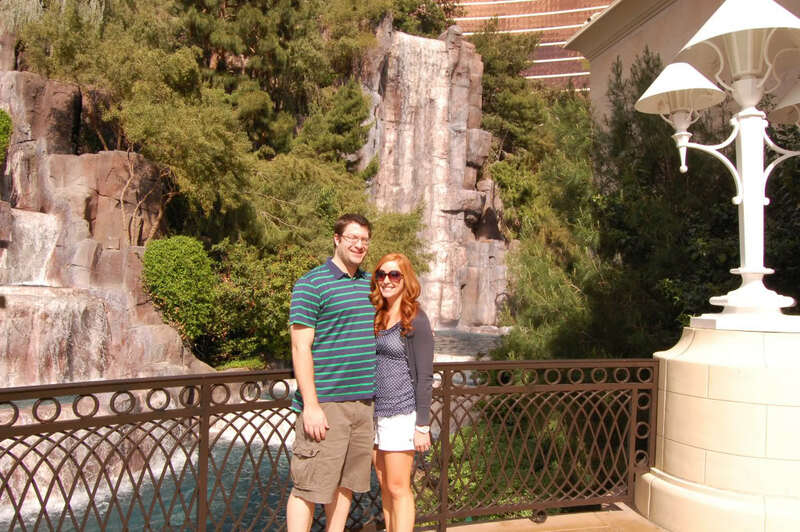 We all stayed at the Wynn and it was gorgeous! And the buffet. Oh my word. The dessert bar was to die for. We talked about it all weekend. So yummy. And does this dress look familiar? Let me give you a hint…. We had a great time with great friends. Now we just need to adjust to Michigan time and weather again. Is it spring yet???? Wow; that sounds like so much fun!! = ) I'm jealous! So so fun!! I bet the weather was MUCH nicer there than here, right? Ugh, I just need spring to stick around for more than a day at a time! looks like such a fun time! 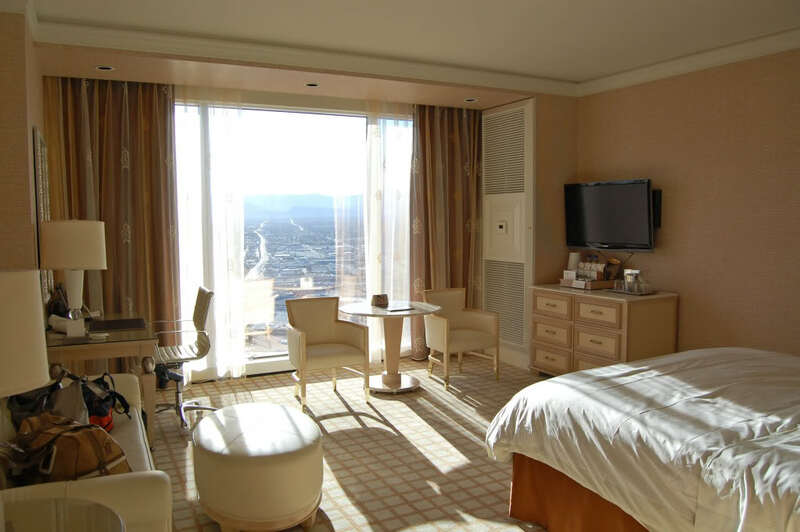 my friend stayed at the Wynn on her honeymoon after it first opened and it looked amazing. but i mean, every hotel in vegas is amazing. p.s. have i mentioned i LOVE your hair. i wish i could get my hair to curl like yours. 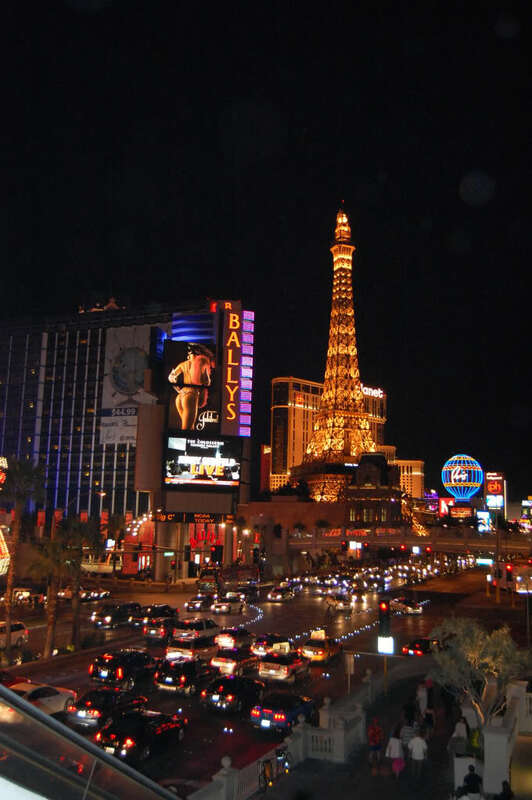 I have never been to Vegas but I want to go so bad! After reading your post, I really need to get to Vegas. Like tomorrow. 🙂 Looks like y'all had a blast! love it. .. keep it! we had a great weekend– thanks for inviting us. miss you already! I'm in LOVE with that floral shirt you're wearing. You can send it to me now, k? 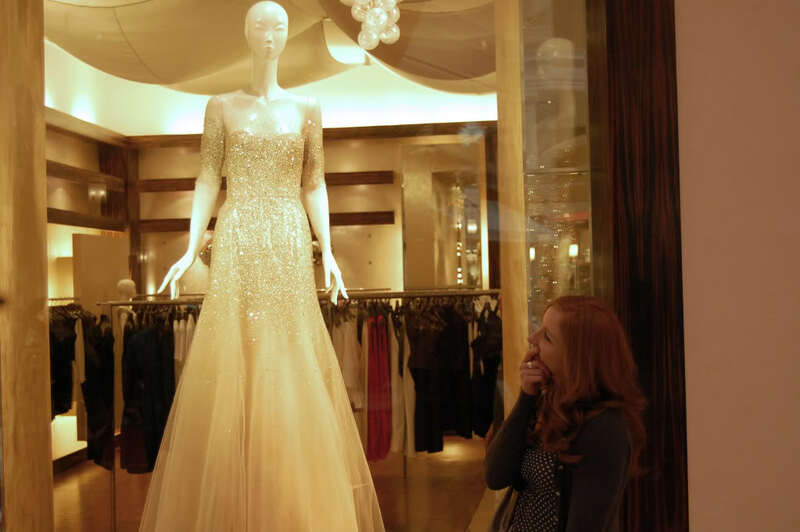 Also, who is the designer of Mandy Moore's gown? That's GORGEOUS!! 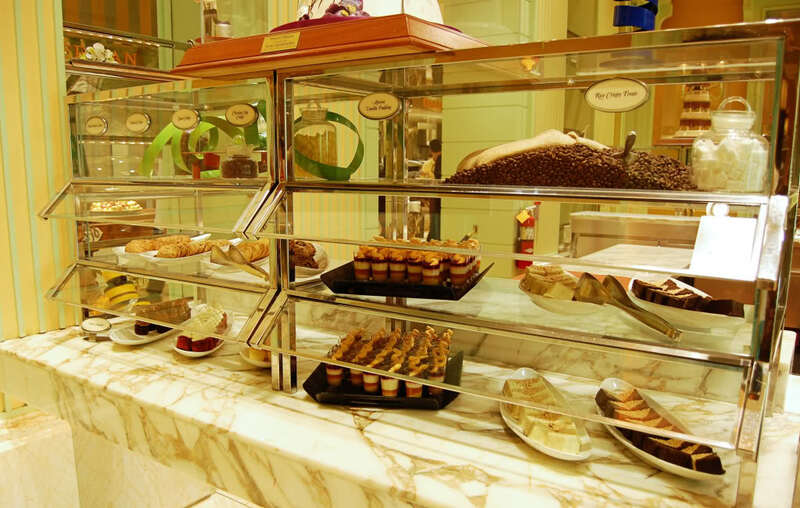 I would go to Vegas simply for that dessert bar. I'm so jealous!! Vegas is so much fun! I love mini vacations like that! 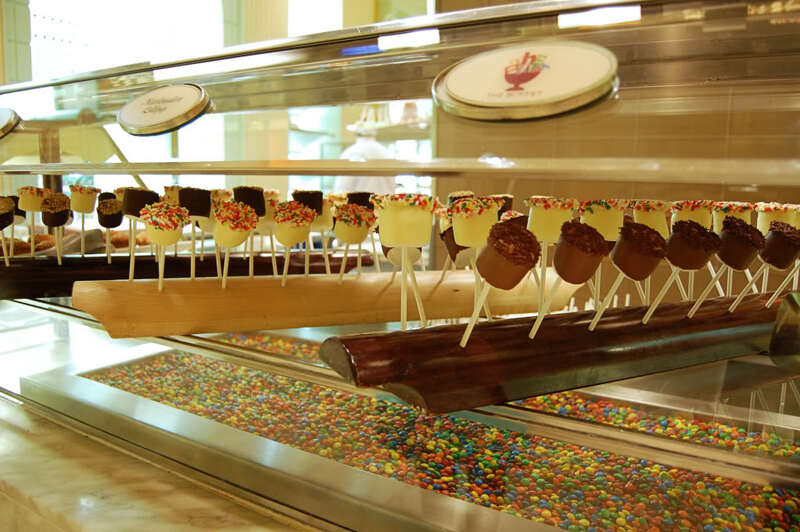 That dessert bar looks amazing!! YUM! Wow Vegas!!! What a fun mini vacation!! Glad you had such a great trip! Sounds like such a fun weekend getaway! Looks like a fabulous trip! Definitely need to get back to Vegas some time soon!